This series consists of textbooks aimed at advanced undergraduates or beginning graduate students. 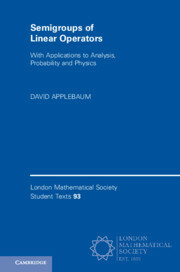 It covers the whole range of pure mathematics, as well as topics in applied mathematics and mathematical physics that involve a substantial use of modern mathematical methods. Topics not of a standard nature though of current interest are also covered by volumes in this series.